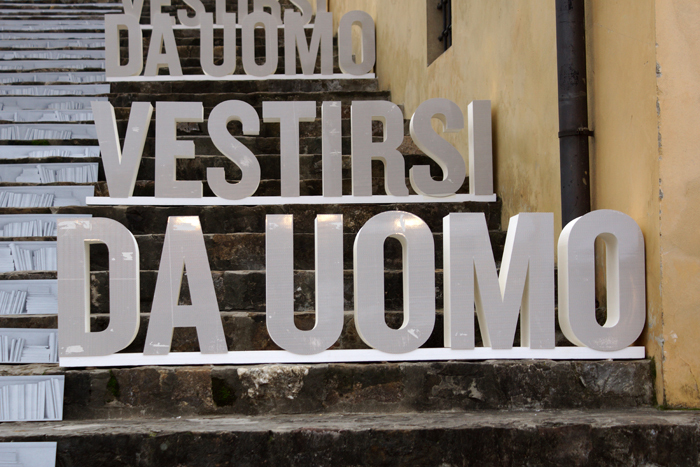 The Vestirsi da Uomo (Dress Like A Man) project curated by renowned international fashion writer, Angelo Flaccavento. 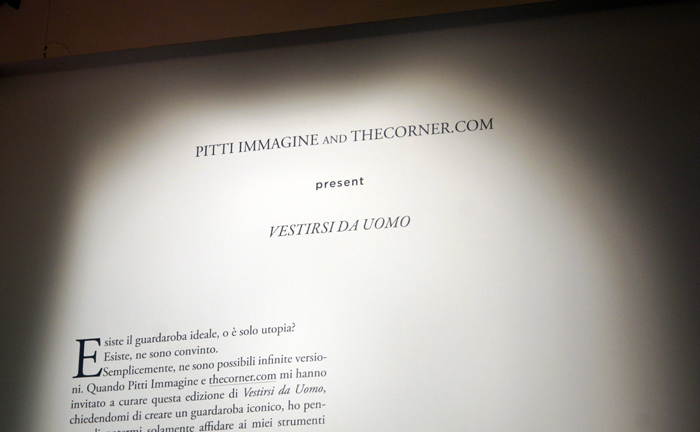 The 3rd edition of this project was a result of the cooperation between Pitti Uomo and thecorner.com, which featured a 'unique wardrobe' installation showcasing a special selection of garments composed by the essential pieces for comtemporary men according to the guest curator, Angelo. 20 brands were included in this display of clothes and accessories which followed the key idea of the selection: 'Does an ideal masculine wardrobe really exist, or is it a utopia?'. A breakfast reunion and a live chat with renowned style experts also took place for this event. British journalist Suzy Menkes interviews Angelo Flaccavento, the guest curator of the project. Suzy Menkes working on a story on the event. 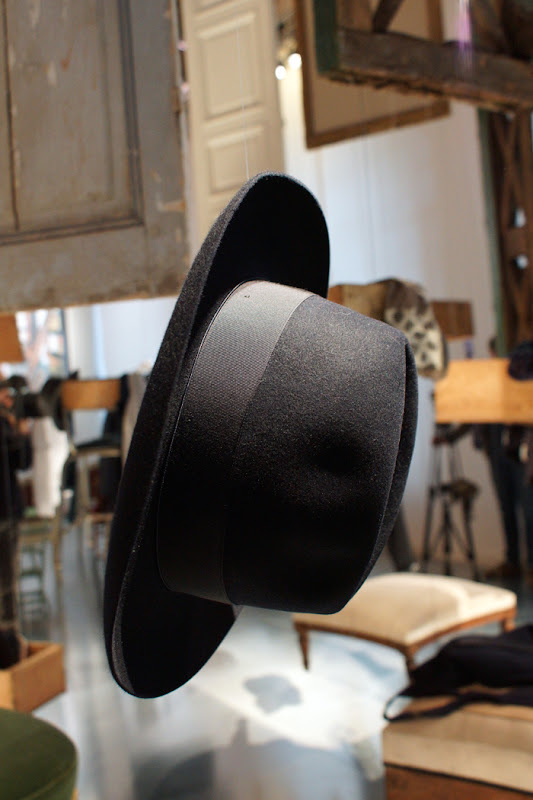 Our friend Peter Simonsson from The White Briefs, in conversation with Fashion Director, Nick Wooster. 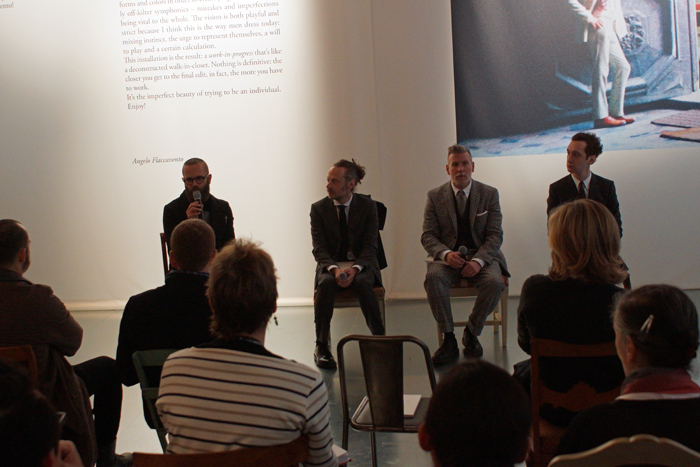 Angelo Flaccavento on the microphone, next to him: Gianluca Cantarro, Matthew Schneier and Nick Wooster.